Recently, a former Oklahoma City mayor compared sexual predators to members of the LGBTQ community. Kirk Humphreys, former mayor and member of the University of Oklahoma’s Board of Regents, has received backlash after making a series of controversial statements, about gays and and homosexuality. Humphreys asked Virgin why she supported Frank because he is a homosexual. Virgin, who said she was caught off guard by the statement, had planned for a discussion on current events. “I wish that my comments had been more forceful, but I can assure you I did the best I could under the circumstances,” she said. Virgin said Humphreys’ comments were disgusting. She said she stands by the LGBT community. Freedom Oklahoma’s Executive Director, Troy Stevenson has called for Humphreys to step down from the regents. Paula Lewis Oklahoma City Public Schools Board Chair, said the board unanimously passed a resolution this past spring declaring unwavering support for lesbian, gay, bisexual, transgender, and queer students and staff. “The comments from Kirk Humphreys go against our school district’s values of inclusivity and equality. We believe there is strength in our diversity,” he said. Humphreys equated members of the LGBT to pedophiles and sexual predators. Several members of the LGBT community were asked to give their opinion on the statements that Humphreys made in which he equated gay people to pedophiles. Kaitlyn Howeth is pansexual. She said Humphreys comments were disgusting. Traci Baker, the president of Oklahoma University’s Queer Student Association Humphreys to resign from the Board of Regents. “The OU board of regents are cowards for not commenting during the meeting. Two thousand people called and emailed, at least two-hundred people showed up to the protest, over five-hundred people signed the QSA petition. 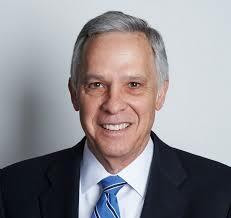 Take Kirk Humphreys off the board of regents,” wrote Andrea Harrison on Facebook.